I love the Golden Age of Detective Fiction and have read books written by dozens of authors from this era. I thought I had heard of nearly every one of these writers, but was pleasantly surprised recently to stumble on yet another one. 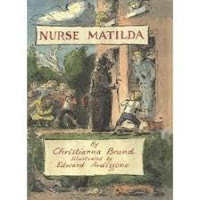 If you’re familiar with the Nanny McPhee movie starring Emma Thompson, then you’ve already been exposed to Christianna Brand who wrote the Nurse Matilda series in the late 1960s. Prior to writing short stories and children’s books, Ms. Brand penned mystery series for adults that featured three different inspectors. Born in 1907 as Mary Christiana Milne in British Malaya, she was raised in India. She returned to England to attend a Franciscan convent school, but left at aged 17 to enter the workforce. One blogger surmised it was because her father lost his wealth. Whatever the reason, she held a wide variety of jobs such as governess, dress packer, ballroom dancer, model, and shop girl. It was during this last position she was inspired to write (under the pen name Christiana Brand) her first mystery, Death in High Heels as a result of an annoying co-worker. Six more books featuring Detective Inspector Cockrill followed as well as two other mystery series. The second in the Cockrill series, Green for Danger, was optioned in 1944 by the J. Arthur Rank Corporation and made into a movie in 1946 starring Alistair Sim as the inspector. The plot takes place at Heron’s Emergency Hospital, and the victim dies on the operating table. The nurse is convinced the death was not an accident and Cockrill is brought in to investigate. Having served in the Voluntary Aid Detachment at the hospital where her husband, Roland Lewis, was working, Brand again used her experiences to help her craft her story. Scholars and critics alike attest to her clever plotting, twists and surprises, and sense of humor. Three of her pieces were nominated for Edgar Awards; two short stories: “Poison in the Cup” and “Twist for Twist,” and the non-fiction Heaven Knows Who. 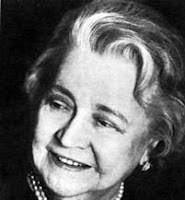 She served as Chair of the Crime Writers Association from 1972-1973. In addition to her successful career as a mystery novelist, she wrote children’s books during the 1960s. Have you read any of Christianna Brand’s books? No, I have never even heard of Christianna. I'm interested now, though!